The Mesa County Organic Materials Composting Facility, 3071 Highway 50, offers an easy, free way to dispose of your (real/natural) tree after the holidays. Don't forget to remove lights, tinsel, ornaments and the stand from the tree before dropping off. Flocked or artificial trees are not eligible and will not be accepted. The trees will be processed for compost production on-site. 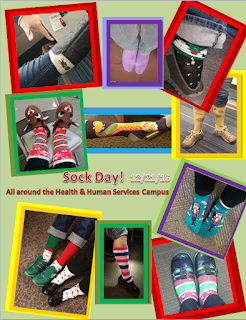 For more information, please call (970) 263-9319. Free real Christmas tree recycling at the landfill. Artificial or flocked trees are not eligible. Customers drop off and unload yard waste and Christmas tree at the Mesa County Organic Materials Composting Facility, 3071 Highway 50. 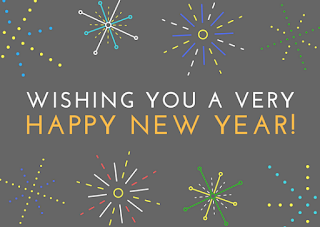 Most Mesa County offices will close on Monday, Jan. 2, in observance of the New Year holiday. Closures do NOT include: Coroner's Office, Criminal Justice Services (all locations), and Sheriff’s Office: Jail, Patrol, Emergency Services (215 Rice St.) Actual holiday closures: Animal Services (971A Coffman Road near Whitewater) will close on Sunday, Jan. 1 but will be open on Monday, Jan. 2 from 11 a.m. – 1 p.m. and Grand Valley Transit ("GVT") (525 S. 6th Street) will close on Sunday, Jan. 1 but will be open on Monday, Jan. 2. 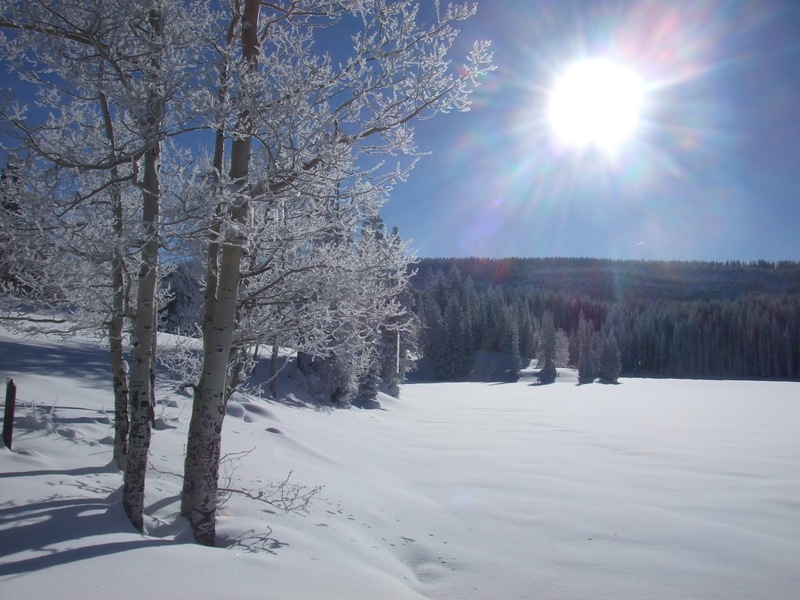 The Grand Mesa in western Colorado is one of largest flattop mountains in the world, and it is in our backyard! It covers approximately 500 square miles and at its highest point stands more than 11,300 feet.Take the enchanting 63-mile drive through the national forest, and enjoy the beautiful views of the park’s lakes, wildlife, and geological features. Don’t forget to take your snowshoes! A hydraulic-drawbridge-cake is presented to Engineering Division Director Julie Constan at her going way party. Some present at the event expressed concern that this may be a "Bridge to Nowhere." Project managers assured those present that no taxpayer funds were used in the construction of the drawbridge. 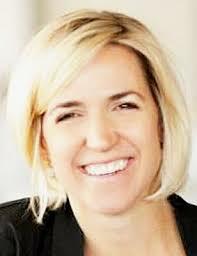 Julie Constan's long time dream has been to have a drawbridge in Mesa County. The man responsible for the design and construction of the hydraulic drawbridge is Senior Engineer Daniel Larkin. Senior Engineer Daniel Larkin clarifies that the bridge is made out of craft sticks, not popsicle sticks, contrary to popular belief. Julie Constan is excited about the craftsmanship that went into building her operating drawbridge. Many Public Works staff members stop by Julie Constan's farewell to wish her well! Stormwater Specialist Carrie Gudorf and Operations Manager Connie Hahn. Senior Engineer Daniel Larkin and Senior Engineer Scott Mai are excellent at problem-solving, that's why when the ice for the iced tea wasn't coming apart they decided to have ice tea snow cones instead. 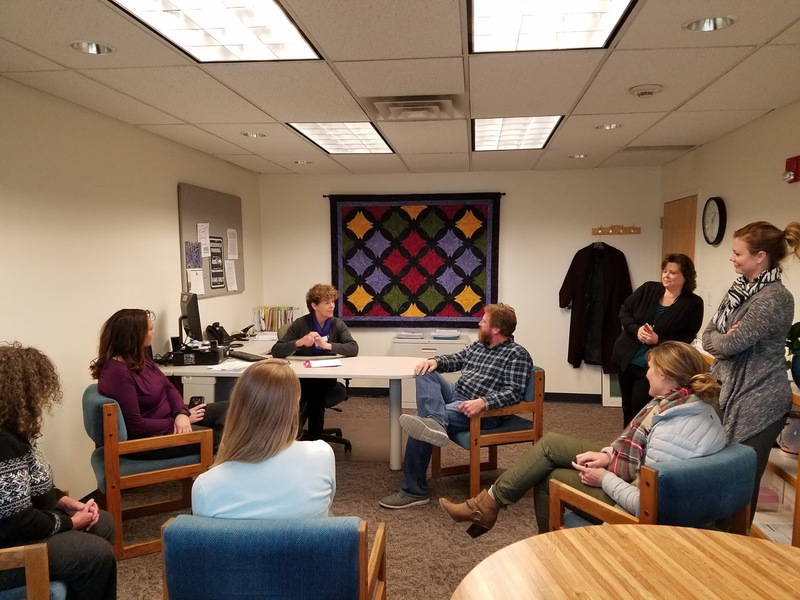 Operations Manager Connie Hahn and Engineering Division Director Julie Constan have worked together for the past 13 years putting together grants for the design, construction, and administration of public infrastructure projects within Mesa County to assure a safe and reliable system for the benefit of the community. 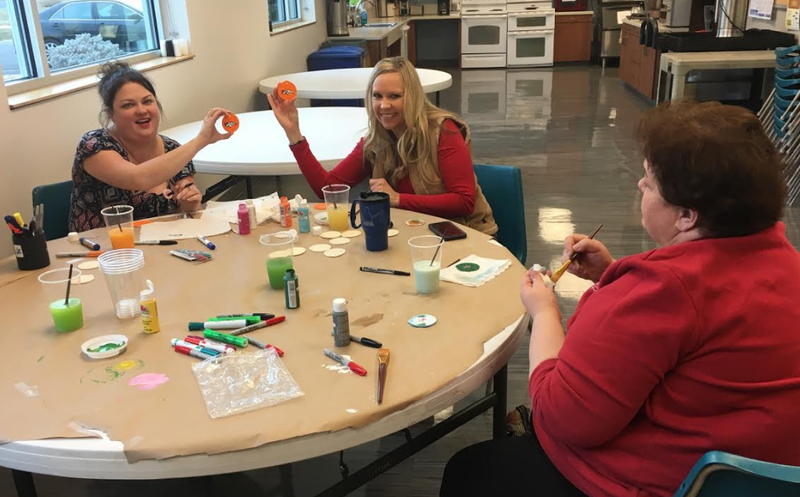 This dynamic duo is an excellent example of professional teamwork and friendship. 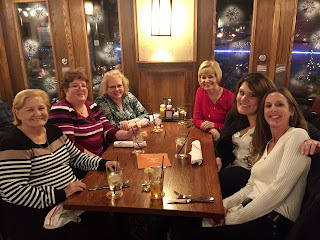 Good luck in your future endeavors, Julie Constan! Thank you for an incredible 2016! 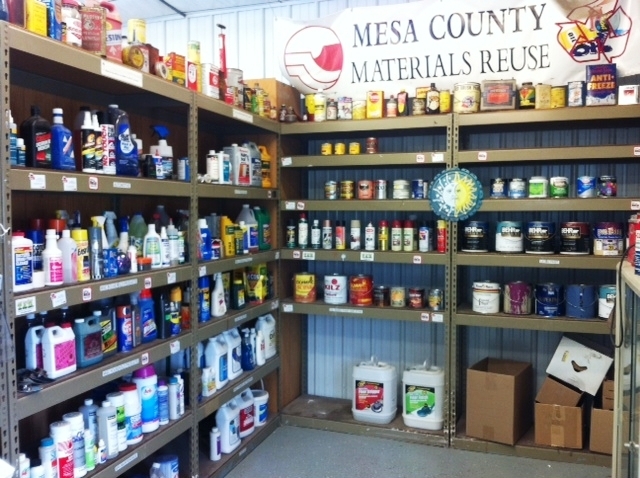 Did you know you can get items such as paint, cleaning products, automotive cleaners, garden insecticides and other household chemicals for FREE? The Mesa County Hazardous Waste Collection Facility has a free reuse area that is open to all Mesa County residents. It’s a great way to save money and help decrease our impact on the environment. Stop by 3071 Hwy 50 (first building on the left at the Mesa County Landfill) Thursday- Saturday from 8 a.m.- 4:30 p.m. and see what’s on the shelf! 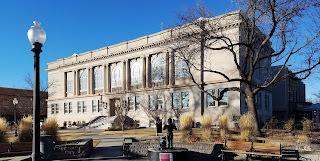 The Board of Mesa County Commissioners officiates the last public hearing of the year on Monday, Dec 19. The Board enters an order on its records of proceedings—levying against the valuation for assessment of all taxable property located in the County and in the towns, cities, school districts and special districts, as of Jan. 1, 2017, for the taxes necessary for all purposes required by law. Mesa County Planning, Colorado Old Spanish Association, and the National Park Service, National Trails Intermountain Region, earlier this year wrote the NPF Active Trails Grant Proposal to establish the "Back to the Trail" event at the Old Spanish National Historic Trail (at the Whitewater Trailhead on Coffman Road), to further develop the trail and raise community awareness and encourage residents to experience the outdoors. The NFP grant funded pedestrian signs to mark the trail. 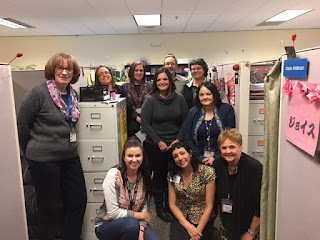 Emergency Preparedness & Response specialists Nanci Quintana, front right, Travis Dorr, front left and Jen Stepleton take a break for a photo at the Health Department. 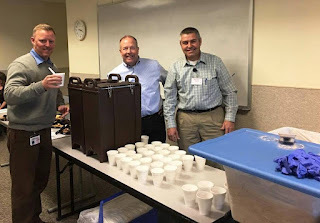 Health Promotion Specialist Troy Ward, left, enjoys a cup of cocoa served by Mesa County Health Department Executive Director Jeff Kuhr and Department of Human Services and Workforce Center Executive Director Tracey Garchar on Tuesday. Staff enjoyed a break with cocoa and cookies thanks to the two directors. EPR Specialist Travis Dorr, left, and Regional Epidemiologist Andy Tyler were feeling festive on Holiday Hat Day at the Health Department on Tuesday. 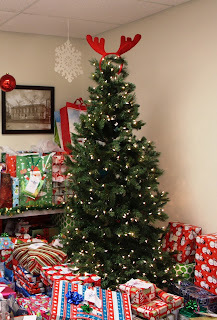 The Mesa County Assessor's Office hosted the Giving Tree, the tree had over 130 tags with foster children's names and ages for employees to pick from to give a gift to a child in need this holiday season. Mesa County employees gift hundreds of presents to children in the Mesa County Foster Care Program. 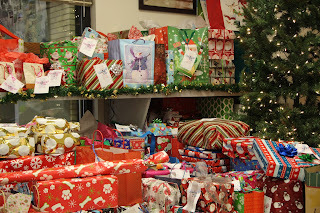 Thank you all of those who selflessly donated gifts to children in need. 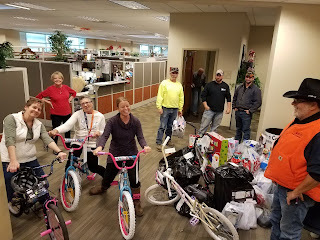 Generous donations by County employees to spread the holiday cheer! Helping young people in foster care through the holidays. 'Tis the season to be jolly. Next year, a bigger tree! 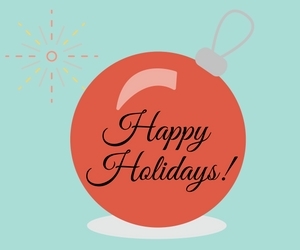 Most Mesa County administrative offices will close on Monday, Dec. 26 and Monday, Jan. 2, in observance of the Christmas and New Year holidays. A special thanks to all of those who took the opportunity to make a difference in a child's life. The Assessor's Office van is so full of gifts for foster kids that they ran out of room! Happy holidays from the Old Mesa County Courthouse. 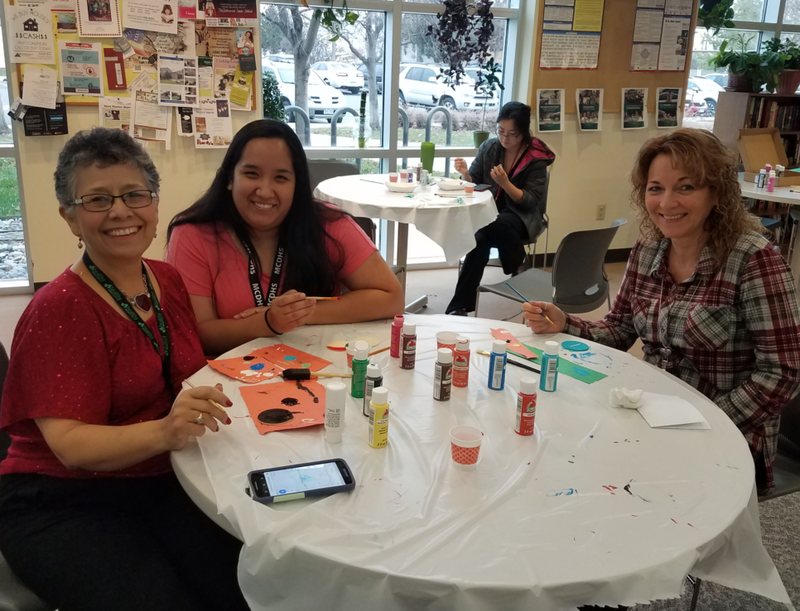 From left: Sarah Kawashima, Kacey Watts and Julie Williams painting Christmas ornaments at the Mesa County Workforce Center. From left, Kori Willis, Hayden Harrell and Nalany Lefever Painting Christmas ornaments at Mesa County Central Services Building (CSB). From left, Doris Guajardo, Jessica Guajardo, Kristen Aragon and Roxanne Delay painting Christmas ornaments at CSB. Michelle Boyd from Economic Assistance showing her Christmas spirit on "Sweater Day." 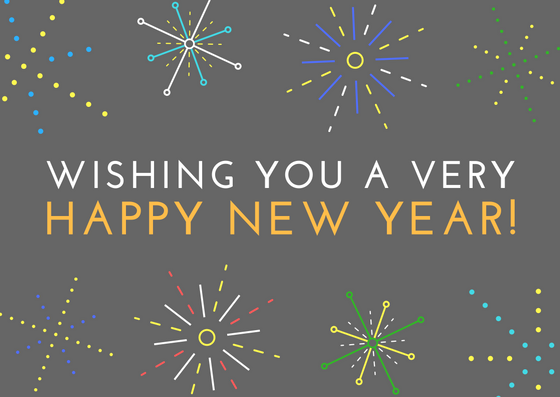 Best wishes for a wonderful holiday and a very happy new year! The Mesa County Commissioners, in public hearing, recently appointed Tom Benton and Robin Brown to serve on the authority to help set policies and oversee the operations of the Grand Junction Regional Airport. Benton and Brown join incumbents Steve Wood, Troy Ball, David Murray, Paul Nelson and Rick Taggart on the airport board. 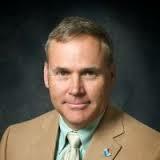 Benton is currently the director of Colorado Mesa University’s Maverick Innovation Center and is a former chairman of the Grand Valley Rural Power and Grand Junction Economic Partnership boards. Brown is the owner of Brown House PR & Events and is a former US Army helicopter pilot and strategic planner and development director for the Avalon Cornerstone Project. Animal Services (971A Coffman Road near Whitewater) will close on Sunday, Dec. 25 and Sunday, Jan. 1 but will be open on Monday, Dec. 26 and Monday, Jan. 2 from 11 a.m. – 1 p.m.
Grand Valley Transit ("GVT") (525 S. 6th Street) will close on Sunday, Dec. 25 and Sunday, Jan. 1 but will be open on Monday, Dec. 26 and Monday, Jan. 2. 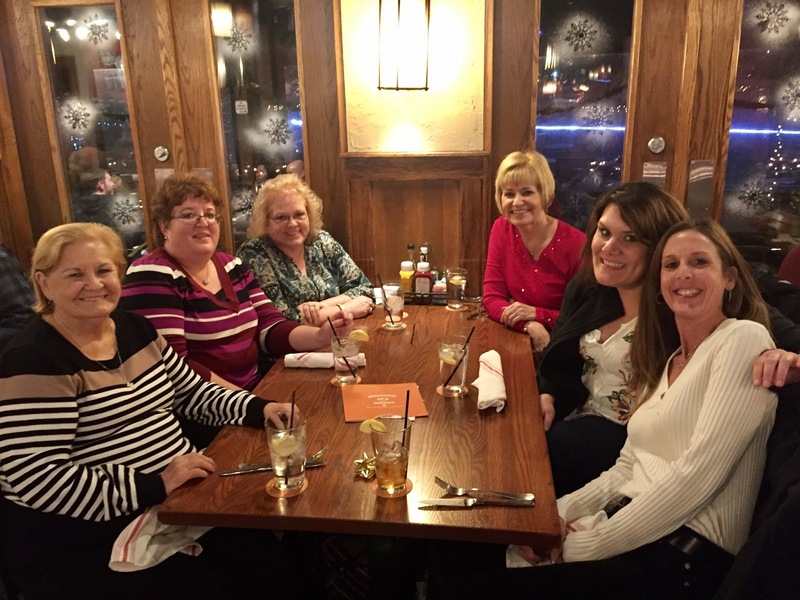 Mesa County Treasurer's Office enjoying a little Christmas cheer at the Ale House during their 2016 holiday get-together! The Mesa County Workforce Center just completed the fourth and final Work Ready Community Academy and is at 94% of reaching the final goal to become a certified work ready community! Fred McConnel, Curtis Englehart Director MCWFC, Tony Garife McConnel & Garife are Regional Managers - Workforce Initiatives for ACT. 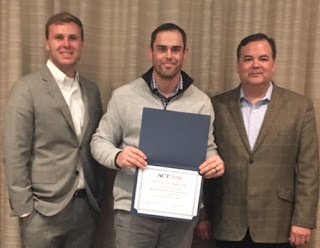 The Foster Care Team-Winners of the 4DX-cellance Award. 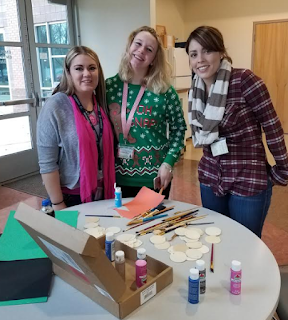 Ariel Clinical Services visits DHS to wish them a Merry Christmas with a song and some cookies. Jeff Goldblatt of KREX spoke with Air Quality Specialist Melissa Salter about the burning restrictions in Mesa County this week. An inversion is trapping pollution in the Grand Valley. Restricting burning will help keep pollution levels from moving from moderate to unhealthy levels, which could affect children, the elderly and those with compromised immune systems. 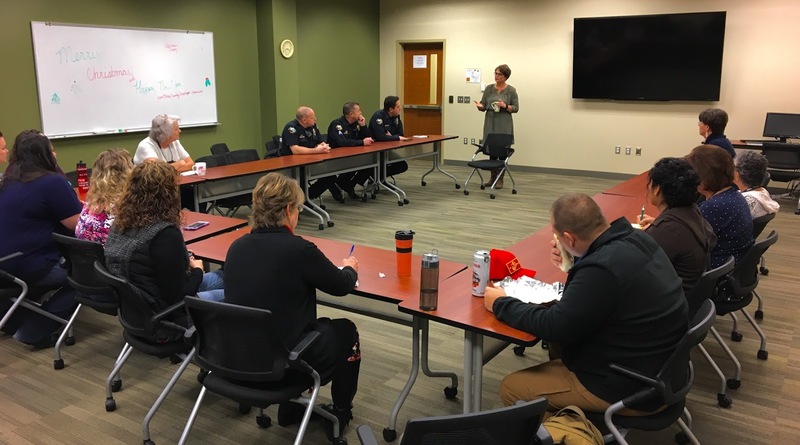 Mesa County Clerk Sheila Reiner facilitated a discussion with officers from the Grand Junction Police Department and Mesa County staff regarding building safety at the Central Services location. Mesa County Clerk Sheila Reiner facilitates a roundtable discussion with officers from the Grand Junction Police Department & Mesa County staff concerning building safety at the Mesa County Central Services Building, 200 S Spruce St.
Mesa County staff from the Road and Bridge Department and employees at the Central Services Building donated hundreds of toys and goods to the Salvation Army. Mesa County staff gifts items to the Salvation Army they would have loved as a child. 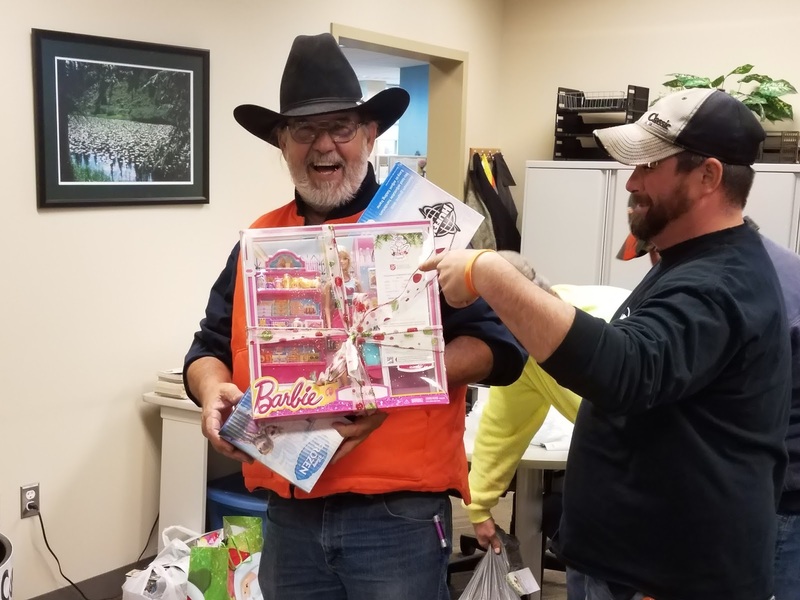 Construction Manager Pete Mathes is super enthusiastic about the Barbie gift a child will receive for Christmas. 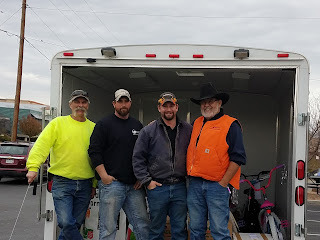 Road and Bridge crew: John Flemming, Travis Cole, Matt Nichols, and Pete Mathes not only donated to the Salvation Army Angel Tree they helped deliver the gifts too! 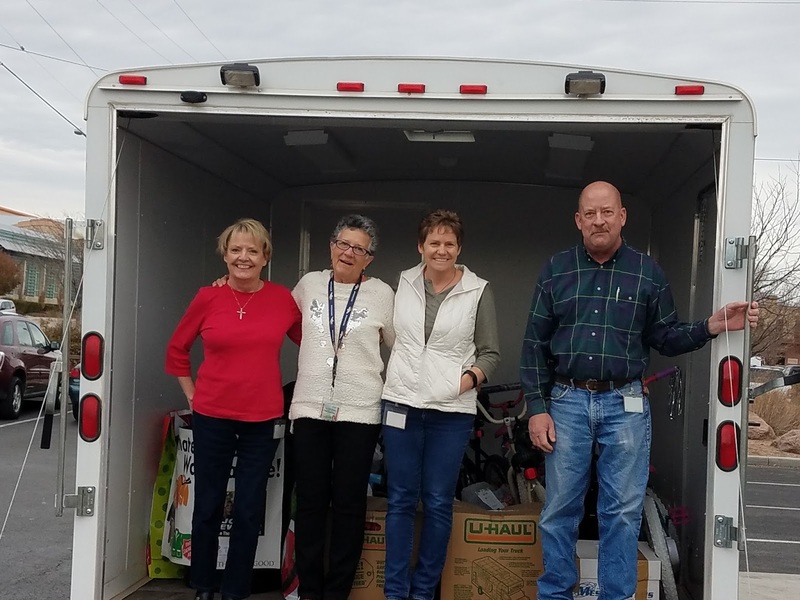 Connie Hahn, Shirley Beall, Julie Constan and Louie Dorlac help load gifts donated by Mesa County employees to the Salvation Army. 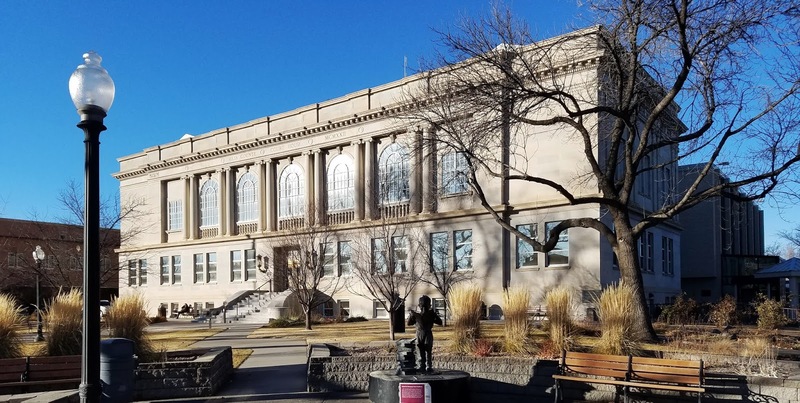 The Board of Mesa County Commissioners approved the 2017 county budget in public hearing. Mesa County residents give Commissioner Pugliese input on the adoption of the 2017 budget. KREX Channel 5 News Brandon Thompson interviews Commissioner Pugliese regarding the adoption of the 2017 budget. 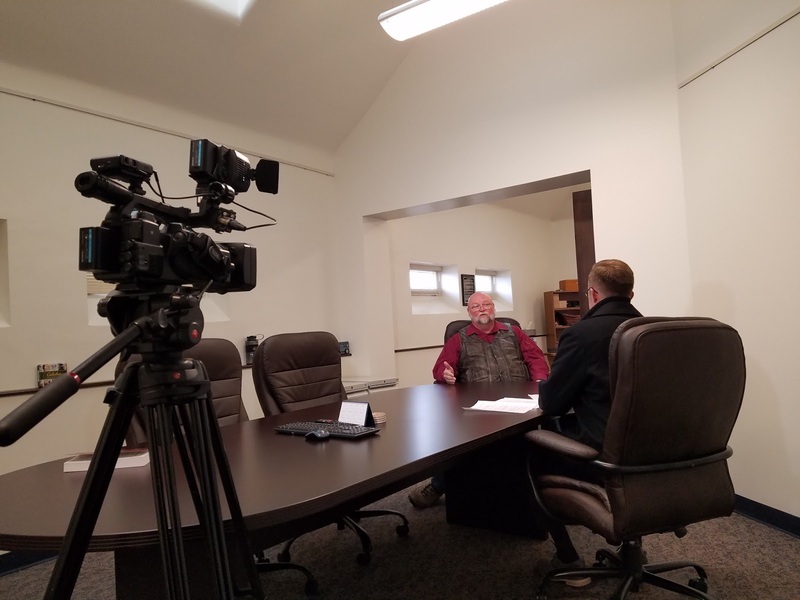 KREX Channel 5 News Brandon talks to County Administrator Frank Whidden about how the county budget is processed before being adopted. 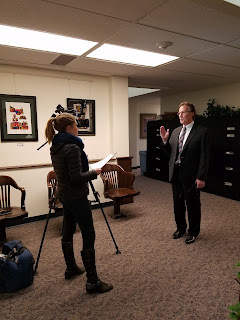 KKCO Channel 11 News Kalie Greenberg interviews Commissioner McInnis regarding the Federal Energy Regulatory Commission's decision to deny permission to build a 234-mile-long interstate liquefied natural gas pipeline that would allow natural gas to be extracted in western Colorado before being exported to Coos Bay, Oregon, also known as the Jordan Cove Project. 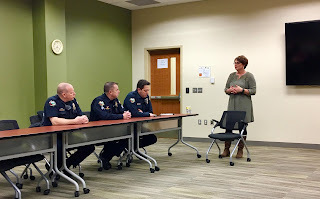 Members of the Resource Management Division discuss and outline ideas for a top secret presentation. Mesa County elected officials and department heads were recruited to be hosts and servers at the Resource Management holiday luncheon. Officials served lunch to over 60 employees. County dollars were not used for the meal. Mesa County Assessor Ken Brownlee joyfully greets staff. Captain Smith upgrades to a different vest. Mesa County Sheriff's Office Captains arrive at the Resource Management holiday luncheon ready to serve and protect, but literally to serve (lunch). Mesa County Treasurer Janice Rich graciously pours water for employees. Commissioner Pugliese walks in ready to be put to work. Mesa County Facilities employees catch up before lunch is served. County Administrator Frank Whidden works away from his desk at the holiday luncheon. Mesa County Surveyor Patrick Green greets staff and helps direct them to their tables. IT Support Specialist Andrew Wetzel is checked in by Mesa County Surveyor Patrick Green. IT Support Specialist Josh Dallman waits to see what table he is sitting at. Clerk Sheila Reiner greets Commissioner McInnis and checks to see if he is on the guest list. 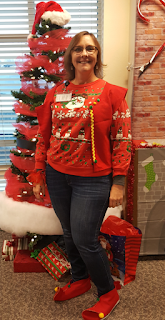 Administrative Manager Jean Davis put together a fabulous holiday luncheon and program for Mesa County Resource Management Division! Commissioner John Justman visits with staff at the Resource Management holiday luncheon. Captain Hendricks cheerfully and elegantly serves his table. Captain Smith (center) is thoroughly impressed with County Attorney Coleman's serving portions. 2016 Resource Management Holiday Luncheon. Mesa County elected officials and department heads wait in line to retrieve lunch to serve employees. 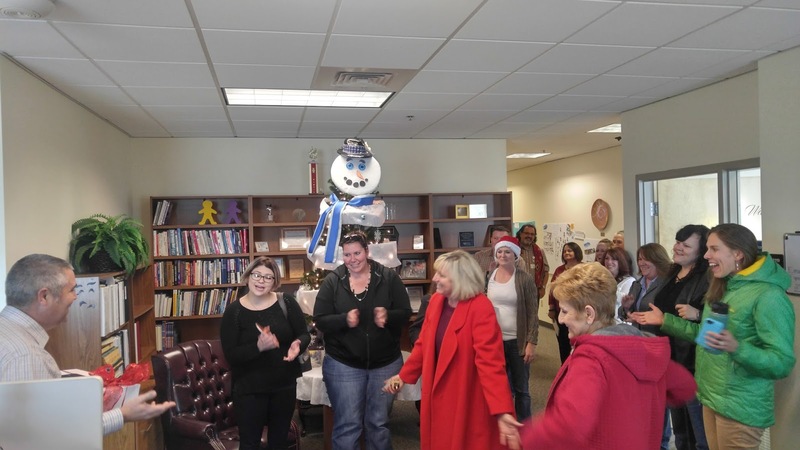 Fairgrounds Manager Donna Redd shared delicious homemade snowman and Christmas tree cupcakes! 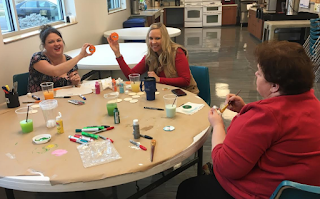 Employees share their favorite sweets with their colleagues to spread the holiday cheer. Holiday season means lots of delicious baked goods! Staff plays a game of jeopardy to learn more about what each branch of the Resource Management Division does. And, suddenly Santa Claus appears! Santa Claus and Mrs. Claus stop by the Resource Management holiday social to deliver a surprise. Santa Claus thanks, Budget Manager Eleanor Thomas for all her hard work this season. GIS Administrator Chris Kadel takes a selfie with Santa Claus. Resource Management was extra good this year, so Rudy Claus came to visit! 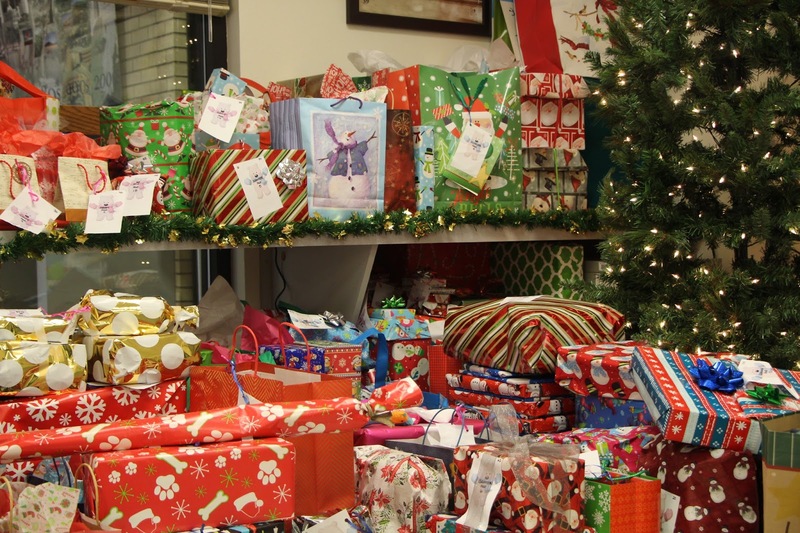 Mesa County Clerk and Recorder Sheila Reiner made it on Santa's good list this year!